The two Koreas are talking again. A couple of weeks ago, North Korea and South Korea held talks on the future of the peninsula, and South Korean President Moon Jae-in hopes to ease tensions with Kim Jong Un as the North Korean dictator continues to nuke up. For now, the two Koreas have one thing keeping diplomacy alive - the Olympics. Koreans on both sides of the DMZ have a lot riding on the success of the Winter Olympics in PyeongChang, South Korea in February, which is a way to promote peace and harmony globally, but a successful winter Olympiad could help avoid a nuclear confrontation on the peninsula and cool passions, just as the summer Olympiad in Seoul thirty years ago allowed the Republic of Korea in the south to become a true democracy after a long period of restricted political freedom and military rule. 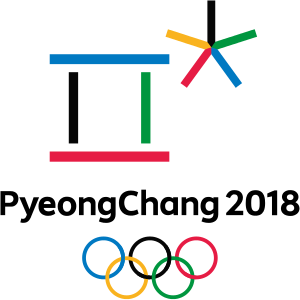 Athletes from the two Koreas will enter the opening ceremony together and the two governments will field a single women's hockey team. Even pop culture is playing a part in the easing of tensions - the lead singer of North Korea's biggest girl group is part of the North Korean advance delegation to the south to look over preparations for the Games. It's nice to see a country at war with itself for decades make efforts at overcoming division. The United States could learn something from the Koreans. Please note that I did not mention the current White House occupant and his "role" in the Korea crisis in this blog post.